We have suspended our monthly open houses for the summer. We are taking this time to work on our layout space as well as the the layouts. We hope to see you again this fall when we resume open houses. 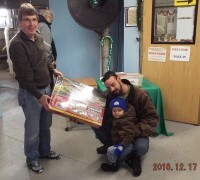 This is Carter Lane with his Dad, Carter won the trainset raffle for 2016. We hope Carter will enjo this set. 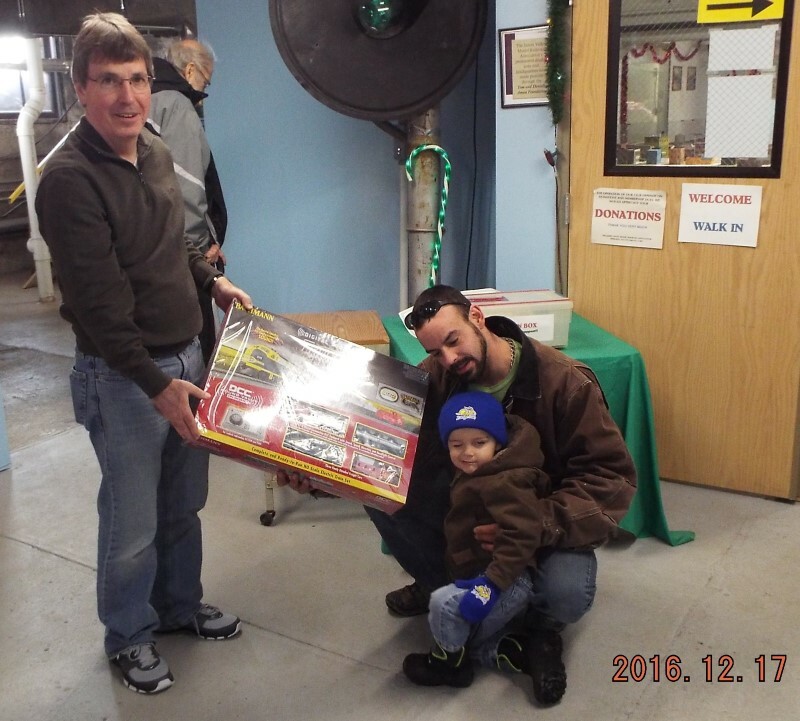 Thank you to everyone who participated in our annual raffle and visited us during our Christmas at the Depot 2016. Congratulations to Shane Woodell for winning the raffle for the trainset. Thanks to everyone who entered our raffle. We really appreciate your continued support of our organization. 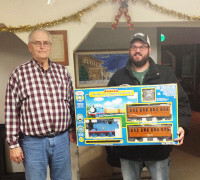 Thanks to everyone who purchase raffle tickets of the train set give away. 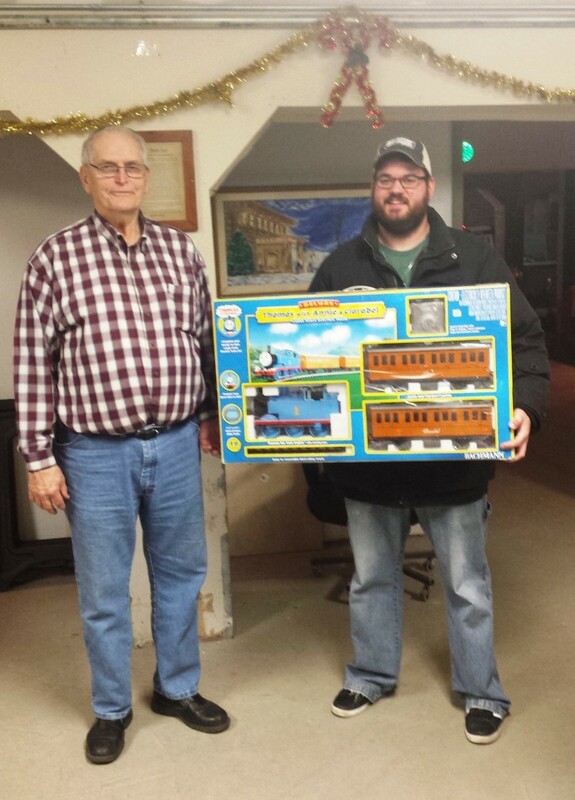 The winner of the train set raffle was Stephan Duncan of Ipswich. Stephan selected the Thomas the Tank Engine G scale set which his two boys, ages 3 and 6 are sure to be thrilled to play with.